• MAX COR pocket construction and Multi-thickness Hot Metal face deliver the highest allowable COR achieved by using a variable thickness Hot Metal face and new COR pocket construction. • Pocket cavity and heel/toe weighting deliver a very large sweetspot. • Harmonic Impact Technology delivers a solid sound and feel at impact. 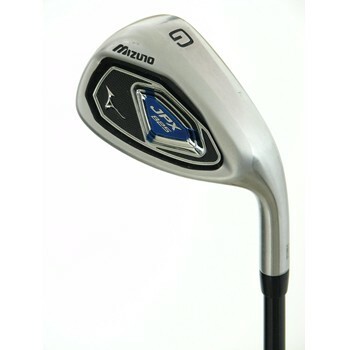 • Electroform badge enhances feel and gives the JPX-825 aggressive styling. • Triple Cut sole design give JPX-825 idea turf interaction from any lie. • Durable Nickel Chrome plated finish.